I am a monk from the Changbai (Eternally White) Mountains, a Chan cultivator from the Black Waters. I brought forth a resolve for the Way in my youth. Hearing of the filial piety of Filial Son Wang (Great Master Changren) of Shuangcheng (Twin Cities) County, I vowed to emulate him. Every morning and evening, after bowing to the Buddhas, I bowed three times to my father and mother. At first, they thought it strange, but after a while they became used to it. Later on, I took refuge with the Triple Jewel and had deep faith in Buddhism. I went to study under Great Master Chang Ren (Filial Son Wang of Shuangcheng County). The Great Master's instructions to me were always right on the mark. After my mother died, I built a simple hut by her grave and had my head shaved, leaving the home-life. We headed for Caoxi, wishing to draw near the Venerable Master Yun. The journey was very arduous. We walked during the day and rested at night, sometimes travelling even at night, until we reached Prajna Monastery in Changchun (which was called Xinjing, "New Capital," during the Manchu Empire regime). My two disciples remained at that monastery, waiting to receive full ordination the following year. Without carrying any extra clothes or luggage (the clothes I wore didn't exceed five pounds), I travelled alone towards the interior. Fourteen monks rode in the same boat. Honored and noble were they; only I was poor. Donned in ragged robes, I ate one meal and had no extra possessions. People could scold and slander me as they pleased. At that monastery, I performed austerities and chores such as cleaning, boiling water, tending the garden, watching the door, taking care of the Buddhahall, and serving as verger. My skill in Chan samadhi increased greatly. In 1947, after going to Mount Potola to receive full ordination, I went to study the doctrines at the Buddhist Academy at Lingyanshan Monastery in Suzhou. In the fall, I went to Kongqing Mountain to take part in a Chan session and pass the winter. I paid respects to Venerable Mingguan and Venerable Liaocheng. In the first month of 1948, I left for Shanghai and then took a boat to Baotong (Precious Penetration) Monastery in Hubei. When I boarded the boat, I was penniless. On the boat I met a cripple who couldn't walk. When I recited the Great Compassion Mantra to aid him, he was immediately healed and could walk again. This evoked respect and faith from the rest of the boat's passengers. Before parting, they donated over 700,000 fa bi (monetary units). Thus I was able to buy a train ticket to go to Qujiang. At the train station I met Great Master Jouyi, a native of Hubei. When I asked him, he told me he was also going to Nanhua Monastery in Guangdong to draw near the Venerable Master Yun. I asked him, "Have you got money to buy a train ticket?" He said, "No." I bought him a ticket, and the two of us took the train to Maba. When we got off the train, Master Jouyi said, "I'm hungry." After paying for the train fare, I still had over 100,000 fa bi, which I gave to him to buy breakfast. Again, I was left penniless. Upon reaching Nanhua Monastery, I bowed to Venerable Master Yun, feeling like an infant seeing his mother again, like a wandering son who returns home. After so many years of yearning admiration, I was finally able to fulfill my wish. When I first arrived, I was assigned to serve as verger in the Patriarch Hall. 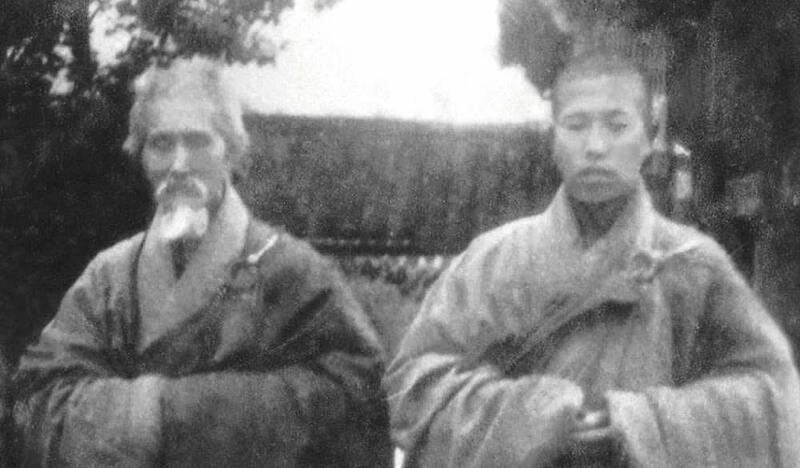 When Dharma Master Zhican came to visit, he and I found that we shared the same views on cultivation, and he recommended me to the Venerable Master Yun as a capable person and worthy vessel of Dharma. The Venerable Master Yun then summoned me to the Abbot's quarters and asked me to be Superintendent of the Vinaya Academy. I refused. He urged me three times. I said, "Your student has come ten thousand miles to meet the Good Knowing Advisor and in order to end birth and death. If the Venerable Master can guarantee that I will be able to end birth and death, then I wouldn't refuse your orders even if you told me to jump into a cauldron of boiling water, walk on fire, or give up my body and bones." The Venerable Master Yun replied, "One ends one's own birth and death, just as one eats one's own food to fill oneself. If I were to say that I guaranteed that you will end birth and death, I'd be cheating you. I don't do that sort of thing. In cultivation, one should concentrate on inner skill and outer accomplishment. By cultivating both blessings and wisdom one will succeed. One should not be an independent Arhat, looking after only his own good. One should practice the Bodhisattva way for the good of all, support the monastery, and be of service to everyone. In that way, one may perfect blessings and wisdom and quite naturally end birth and death." I again refused. The Venerable Master Yun said, "You came all the way from northeast China to meet me. If you are not going to obey my instructions, why did you bother to come at all?" I then accepted the position. I carefully observed the words and actions of the Venerable Master Yun and found them to be quite ordinary. What set him apart from ordinary people was his ability to set an example for others with his own practice and his willingness to take suffering and hard work upon himself. During the spring precept-transmission, when the morning boards were struck, I heard with my own ears the roar of a tiger at first nearby and then off in the distance. My Dharma friends told me, "That is the tiger who took refuge with the Venerable Master Yun and became his disciple. It lives in a cave behind the mountain and always comes out to protect the monastery during the precept ceremonies. After the transmission of the precepts, the Venerable Master Yun returned quietly and alone to Yunmen, where he was supervising the construction of buildings. That summer, I went to the district of Nancheng in Jiangxi to lecture on the Amitabha Sutra at the invitation of Elder Layman Huang Juzai. I returned to Nanhua Monastery in the middle of the eighth month. In the middle of the ninth month, a group of bandits who were intent on ransacking the monastery broke down the door and entered the Nanhua Vinaya Academy. When I went out to meet them, they pointed their guns at my chest and said, "We're going to shoot you." I said, "Why do you want to shoot me?" The bandits said, "Because you didn't open the door." I said, "I didn't open the door because you have come to rob me, not to give me gifts. If you had been in my place, you wouldn't have dared to open the door either." The bandits said, "Hand over your money!" I pointed at my ragged robe and said, "Look! Would someone wearing such tattered clothes have money?" The bandits asked, "Well, who does?" I said, "I'm the Dharma Master here, and all the rest are student monks. If I am penniless, surely they will be poorer yet. This room is where I live. You are welcome to look around and take whatever you like." Hearing me conversing with the bandits as if nothing were going on, Dharma Master Huaiyi came out from the inner rooms to join the conversation. The bandits promptly let go of me and seized him, giving him the same treatment they had given me. Master Huai burst into tears and hung his head, afraid to look up. The thieves then said, "Give us your money!" Master Huai said, "Go to my room and get it." They entered his room and took everything in it, leaving it empty. The following day at class, Master Huai announced to the students, "Of the hundred or more monks at Nanhua Monastery, only one man showed no sign of fear--Dharma Master To Lun." When it came time for me to teach, I said, "Master Huai said I was the only one in this monastery who was not afraid. He was wrong. As far as I know, there were four people: First of all, the Sixth Patriarch, Great Master Huineng, sat unmoving in bright samadhi, without worrying or paying any attention, as if nothing were going on. Second, Patriarch Hanshan sat erect, nourishing his spirit with eyes closed, in a state of internal and external emptiness in which concepts of self and others were both gone. Third, Patriarch Dantian stuck out his head to take a look around and see what was going on, yet did not say a single word. The fourth one was me, the mountain monk To Lun, who not only looked but also spoke. I conversed with the thieves and got all excited, but I was not afraid either." After I said this, the class broke into laughter. The news soon reached the Venerable Master Yun, who hurried back from Yunmen and called a general meeting. Present at the meeting were Dharma Masters Huaiyi and To Lun, and the Venerable Master Yun himself chaired the meeting. There were over thirty students, including Zuyin, Yunmiao, Wuyun, Xuanyang, Hengding, Tihui, Tiguang, Faliang, Hailong, Fahui, Wanxin, Zhikong, Faming, and Fakai. After the incident of the bandits, everyone in the monastery was unsettled and wished to leave. The Venerable Master Yun urged Master Huai to stay on, but he refused. He tried to detain the students, but they wouldn't listen. Under these circumstances, he broke down and wept bitterly. He said, "To the end of time, I will never again run a Buddhist Academy." Then he got up and returned to the Abbot's quarters. I was deeply moved and vowed to assume the duties of managing and continuing to run the Buddhist Academy. Later Master Huai went to Guangxi, and I became solely responsible for all the classes at the Nanhua Vinaya Academy. On New Year's Day of the following year (1949), I wrote a letter to the Venerable Master Yun resigning from my post as Dean of Academic Affairs at the Academy. I then stayed in the Tripitaka Hall and read the Tripitaka (Buddhist Canon). During the precept-transmission I was asked to be one of the certifying acharyas. Afterwards, I went with Venerable Master Yun to Dajian Monastery in Shaoguan. When Venerable Master Yun then suggested that I continue with him to Yunmen, I agreed to join him there but insisted on first returning to Nanhua. In the beginning of the fifth month, I set out for Dajiao Monastery (in Yunmen). The mountainous path was winding and narrow, similar to the roads in Sichuan province. Night fell when I was about twenty li from Yunmen. Since I was travelling alone, it was difficult to make progress on the unfamiliar path. Suddenly a lamp-light appeared before me, and I followed it. The light remained at a constant distance of about a hundred paces before me, and when I finally reached it, it disappeared. Looking around, I discovered that I had arrived at the very gate of Dajiao Monastery. Everyone had already retired. I knocked on the door, entered, and saw the Venerable Yun, who asked, "Why did you arrive so late?" I told him the reason and described how I had been guided by a lamp-light. The Venerable Yun said, "How remarkable! It is difficult enough to travel on these mountain roads during the day without a guide. How remarkable that you have been able to find your way in the pitch black of night! Very strange!" After arranging a place for me to stay, the Venerable Yun said, "You were the panshou (head of the assembly) at Nanhua, and you should continue to be the panshou at Yunmen. You should lead the assembly to cultivate during ceremonies, at mealtime, and sitting in meditation." I had not been at Yunmen very long when I became ill because of the dampness of the weather. It was very hard to bear, and so I requested leave from the Elder Master to return to Guangzhou to recuperate. The Venerable Yun refused and said, "Don't go. If you do, it will be difficult to return." I said, "No. Your disciple has already made up his mind. He is definitely going." Hearing my words, the Elder Master was grieved to the point of tears. He took my hand and said, "If you go, we will not be able to meet again." I said, "I'll return as soon as my illness is healed. Please don't worry about me!" The Elder Master said, "After you have left, you should make every effort on behalf of Shakyamuni Buddha and establish Way-places to carry on the work of the Patriarchs of the past. The future is very bright. Push on, work hard. Conduct yourself well, and don't disappoint me. Take care. Goodbye." I travelled to Guangzhou and then to Hong Kong, where I stayed at East Potola Monastery. In the seventh month, I returned to Guangzhou and stayed at Liurong Monastery. The Abbot Mingguan asked me to serve as the hall manager and assistant manager of the monastery. Since I planned to return to Yunmen after the mid-autumn festival (the fifteenth of the eighth month) I agreed to serve for the time being. But in the beginning of the eighth month, Shaoguan fell and the road was cut off, making it impossible to go back. On the night of the eighteenth of the eighth month, Xie Kuanhui and Chen Kuanman paid for my boat fare and I went to Hong Kong again. I travelled to Thailand to examine the southern transmission of Buddhism. In 1950 I returned to Hong Kong and went into seclusion in Guanyin Cave. I was as if deaf and dumb. Each time I thought of the Elder Master Yun's parting words, I regretted not having listened to the Good Knowing Advisor's advice. I wanted to go back to see the Elder Master, but it was impossible. Alas! What could be said? In the winter of 1951, I worked on the construction of Western Bliss Gardens (Xileyuan) Monastery. At the request of Luo Guoming, Chen Guofa, Tang Guoshan, Mai Guolian, Yuan Guolin, and other laypeople, I lectured on the Earth Store Sutra at Tongshan Temple. In the fall of the following year, I lectured on the Vajra Sutra at that Temple. The fall after that, I lectured on the Amitabha Sutra at Baojue (Precious Enlightenment) Monastery. The Source of the Buddhas and Patriarchs"--the Dharma of the mind-to-mind seal which is transmitted outside the teaching, the wonderful mind of Nirvana, the real mark which is without marks, the true emptiness which is not empty. Following the intent of the Patriarchs above and teaching living beings below, I was constantly mindful of the deep kindness of this Dharma-milk. The Elder Master wrote to me, urging me to do meritorious works. I vowed to contribute several tens of thousands of dollars to pay for the Buddha images in the Jewelled Hall of Great Heroes of Zhenru Chan Monastery at Yunju Mountain. I also travelled to Burma and purchased more than three hundred large cartons of gold foil for gilding the Buddha images. The Venerable Yun was very happy and wrote repeatedly in thanks. This shows the vast extent of the Venerable One's deep concern for the younger generation. He is humble and never careless. He denies himself everything to be generous to others and renounces his own will to comply with that of others. His awe-inspiring spirit, his matchless compassion, his lofty virtue, and his absolutely genuine impartiality cause people to serve him happily and willingly. I received another letter from the Venerable Yun instructing me to return to Yunju Mountain. While in Chan contemplation I came to know that the Elder Master wished to transfer the responsibilities of Zhenru Monastery to me, but for various reasons I could not heed the command. Even now my regret knows no bounds. The Buddhist Lecture Hall had just been established, and every day I was busy with the work of propagating the great Dharma. Since there was no way I could be in two places at the same time, I planned to go back to be with the Elder Master and attend upon him after I had taken care of matters satisfactorily and found someone to assume my responsibilities in Hong Kong. In July of 1959, I received news of the Venerable Yun's grave illness, and day and night I was worried. I knew it was an inauspicious sign. I had noticed in the Venerable One's Dharma portrait of 1958 that his eyes gazed horizontally, and his eyebrows were several inches long, so they could have been tucked behind his ears. When I saw the portrait I bowed before it and was moved to say, "Every time the Venerable One closes his eyes for photographs, but this time the compassionate eyes are gazing on living beings. This is very unusual. It must be an indication of a major change. In less than a year it will be clear." Then I requested the greatly virtuous Sangha of the ten directions to bow, on behalf of the Elder Master Yun, the Jewelled Repentance of Medicine Master Buddha Who Dispels Calamities and Lengthens Life. I also arranged for several days of Universal Bowing to the Buddhas, and put a notice in the newspaper to let all the Elder One's disciples know, so that by the combined strength of the assembly's determination and sincerity a response would come to pass. At the time, I said to the assembly, "I fear that this is the last opportunity for us to practice Universal Bowing before the Buddhas, to bow the Medicine Master Repentance, and to perform other ceremonies for the Elder Master Yun." My voice was so laden with sorrow as I spoke these words that those who heard me also wept silently. Then a letter came from Yunju saying: "The Venerable One is a little better. We are deeply relieved!" I immediately concentrated all my attention on finding an artist who could be commissioned for the painting of the Elder One's Pictorial Biography. The biography includes over two hundred exquisite Chinese brush drawings. In several tens of thousands of words, it sets forth the Elder One's life of superior virtue, his conduct and vows, the hardships he suffered, his toil, and his singular energy and spirit. The Elder Master is shown as an eternal model and guide for the sages to come. There has not been a model such as he in thousands of years. Unfortunately, death is inevitable. On October 16 (the fifteenth of the ninth lunar month), I received a telegram saying that on October 12 at 1:45 p.m., the Venerable One had completed the stillness at Zhenru Chan Monastery on Yunju Mountain. His instructions for those who would come after him were to diligently cultivate precepts, samadhi, and wisdom, and put to rest greed, anger, and stupidity; to forget themselves for the sake of the Dharma; to respect one another; and so forth. When I heard this news, suddenly not only did the mountains collapse and the earth quake, but the whole world and everyone in it disappeared as the disaster of fire blazed through everything. I could not tell if I was dreaming or awake, if things were real or illusory. I was as dull as a puppet, as senseless as a clay image. After a while, when I came to my senses, I experienced an overwhelming grief. The next day, on the morning of October 17, I called together all the temple's donors to discuss arrangements for the memorial services. We decided to hold a 21-day Buddha Recitation Session followed by a 120-day Great Prajna Recitation Session. We hoped in this way to commemorate the Elder Master and to repay him for the kindness of the Dharma-milk he had given us. Then we sent telegrams overseas to inform Dharma companions in various parts of the world. Among those contacted were the Buddhist Lecture Hall in San Francisco; the Buddhist Association of Honolulu; Layman Li Juncheng and Laywoman Bi Junhui and others in Hawaii; Layman Zhan Liwu in Canada, and other disciples in Taiwan, Burma, Thailand, India, Ceylon, and other countries; and Layman Yu Jendong, Chairman of the World Buddhist Friendship Association. More than one hundred telegrams were sent out, and thus disciples throughout the world gathered in response to commemorate the Nirvana of the Elder One. Hong Kong Buddhists were contacted by phone, and on October 18, the newspapers in Hong Kong published the news. Who would have thought that this would arouse people's jealousy! Evildoers began to slander and demonic ghosts went mad. They became so totally confused that they did not distinguish clearly what they saw and heard. Those self-proclaimed "Good Advisors" cleverly convinced not only themselves but impartial bystanders to follow along and join in their campaign. How pitiful! It is easy to believe the saying, "When deeds are good, the demons abound." When all is said and done, I leave it for the Venerable Yun to decide: Have I done right? When Confucius wrote the Spring and Autumn Annals, the corrupt officials and thieves recoiled in dread. When Sima wrote the Historical Records, his exposes put an end to villains and criminals. I will devote all my strength to the Venerable Yun. Although ten thousand spears may pierce my body, I am absolutely not afraid. Proceed to aim your machinations at me. I will gladly withstand them. Great Master Yongjia said, "Contemplate vicious words / As merit and virtue. / Then vicious words become one's Good and Wise Advisors. / Do not let abuse and slander arouse enmity or liking. / How else can the power of compassion and patience with nonproduction be manifest?" He also said, "Let others slander me; / I bear their condemnation. / Those who try to burn the sky only exhaust themselves. / When I hear it, it's just like drinking sweet dew. / Thus smelted and refined, suddenly one enters the inconceivable." Therefore, everyone should be aware of the inconceivable functioning of the law of cause and effect and of the inconceivability of the resulting retribution. Take heed! When you fall into the Hell of Pulling Tongues, it will be too late to regret what you have done. On the fourth day of the tenth lunar month, I sent two lay disciples, Xie Guofeng and Ma Guoxian, to Yunju to receive a portion of the Elder Master Yun's sharira (relics) and bones and bring them back so we could make offerings to them. On the seventh, the two disciples arrived at Zhenru Chan Monastery and obtained more than ten sharira of rare brilliance, which emitted a light of five colors. They set out on the return trip on the sixteenth and arrived at the Lecture Hall on the afternoon of the eighteenth. I led the great assembly in offering incense and flowers and making prostrations to the sharira. Everyone was extremely happy, and I felt as if a great burden had been lifted off my shoulders. The next day four laymen--Mao Wenda, Li Jungyou, Xie Guofeng, and Ma Guoxian--accompanied me to take the sharira and call on the Elder Layman Chen to discuss the publication of a memorial book. Layman Chen suggested that the publication be delayed to allow time for the receipt of articles from overseas. Thus it is only now that this book has been published and circulated. I hope that Buddhists in all countries of the world will unite in spirit and respect one another. Out of kind regard for the life of ants, the shrimp don't hop back in the water. That I might pacify aquatic creatures, please toss my body in the river. Will in turn attain Bodhi and rescue living beings. I hope that my Dharma companions will not be sad or worried about me. Birth and death follow our karma, just as the cocoon binds the silkworm that has spun it. you will remain entrapped by joy and sorrow. and you gain a thorough understanding of the mind ground. you can be released from the dangerous turning wheel. As you work to purify the three studies, firmly hold to the four dwellings in mindfulness. When your vows are perfected, your body is as illusory as a dew drop or a lightning flash. When you certify and awaken to true emptiness, the myriad dharmas become one substance. Separation and union, sadness and joy, are as unsubstantial as bubbles. And grind them into a fine powder. As an offering to the aquatic creatures. I will be forever thankful if you grant my wish. Hsu Yun, one who repays his debts, bows in reverence. Let us take this as our standard of conduct and continue advancing towards the Buddha-city, never retreating from our resolve to realize anuttara-samyak-sambodhi.